CALL IN IS 347-945-7207 to TJ Morris ET Radio strangely appealing! Paranormal Researchers, Author Interviews, X-Files panels, Ascension Age, ACO Club topics: CALL -1-850-376-9100 or 850-736-5138 to book an event promotion.Cosmology, parapsychology. phenomenology, ufology, universal life theology, philosophy, Spiritual Science Books, Movies,TV. Integrative Medicine, Body-Mind-Spirit Consciousness.A.I. 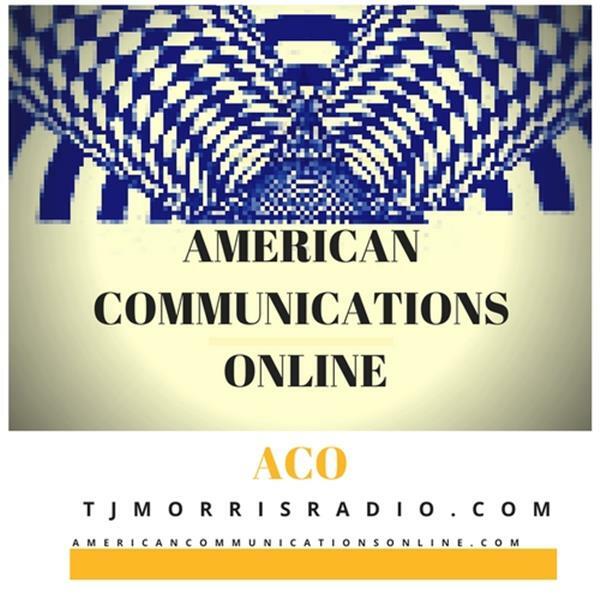 and more... American Communications Online -ACOAssociation.com, UFOAssociation.org, AdvancedCommunications.Agency, Consciousness Truthseekers Anomalous Phenomena (UAP) Paranormal Life OBE, NDE, Immortal Souls Cosmos Connection Metaphysicians ACO CLUB Members. Call In +1-347-945-7207. Theresa J Morris, Host/Producer. Since June 3, 2012, Sponsored by ACO American Communications Online, TJ Morris Media Publishing Agency. AuthorsBookClub.org or ACOClub.app peer to peer reviewers on pyramidology, ancient cultures, archaeology, history, science, physics, metaphysics, scifi writers. reverse technology A.I. UFO Secret Space y OBE, NDE,universal life consciousness research. TJ writes about OBE, NDE, Dreams, ET Force, Tarot Readings, Precogs Intuitive Skills..Theresa "TJ" Morris, classes in esoterics, exoterics, metaphysics, phenomena.AuthorsBookClub, Cosmos Expo, ERA COP, AscensionPsychic, Theresa J Morris Ministries Essence as Universal Life Force Energy, Multi-Dimensional Time TRavel as ERA COP. Missing Time Experiences, new horizons, living healing arts integrative medicine.UFO Association Network News spiritsciencetv.com. ACOinvisibletvcom. TJMorrisAgency.com creating educational entertainment. Ancient Wisdom and New Thought Teachings Mystery Schools Join ACO Club to JOIN! We share interests as CE-5 Contactee Experiencers. We are the ACO Club, Allied Command Officers, and share Alien Contact Organizers. Ken R Johnston Sr, Janet Kira Lessin, and Theresa J Morris share the future and how we welcome Paranormal Researchers into our ACO Club. We share various peer to peer review journals and have decided to have an annual event for our ACO Association, UFO Association, and ACO Club Allied Command Officers and our Directors! Alien Contact Experiencers Janet Kira Lessin,Theresa J Morris ET Invisible Age?